Click here to visit the Makeup.com facebook and like them. 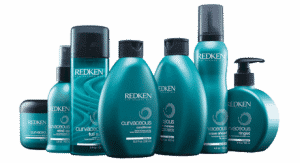 Then fill out the form on the Redken Signup tab to request your free samples. You will receive the following deluxe sample size products: Redken Curvaceous Cream Shampoo, Redken Curvaceous Conditioner, and Redken Curvaceous Wind Up Reactivating Spray. According to their site, you should receive this in 8-10 weeks.